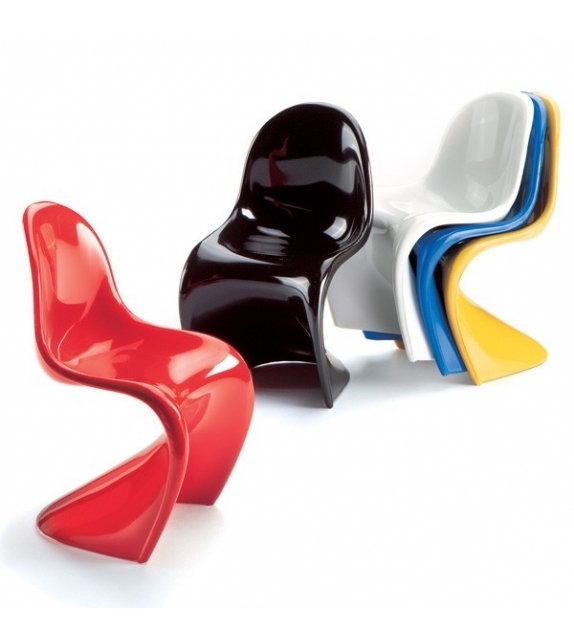 Vitra Panton chair (set of 5): The Panton Chair is regarded today as one of the classics of modern furniture design. 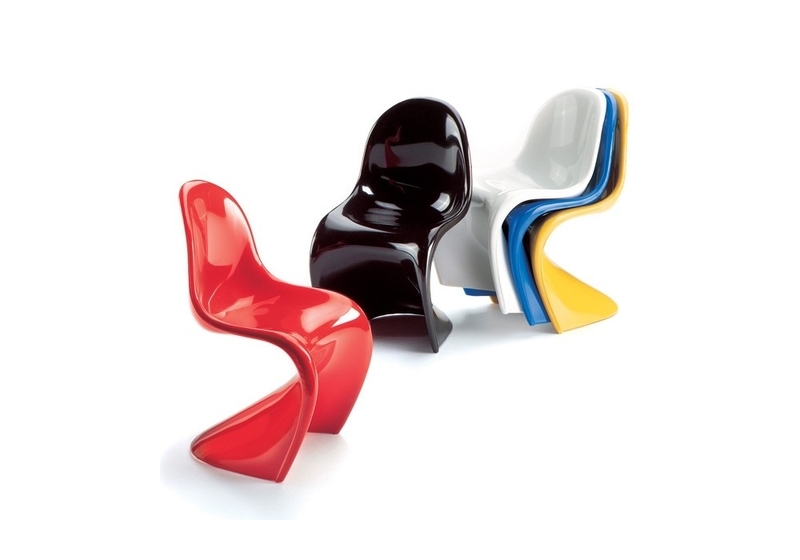 It was the first chair in design history tohave no back legs and be moulded in one piece entirely out of plastic. It took nearly 12 years of development work before the idea could be put into practice. 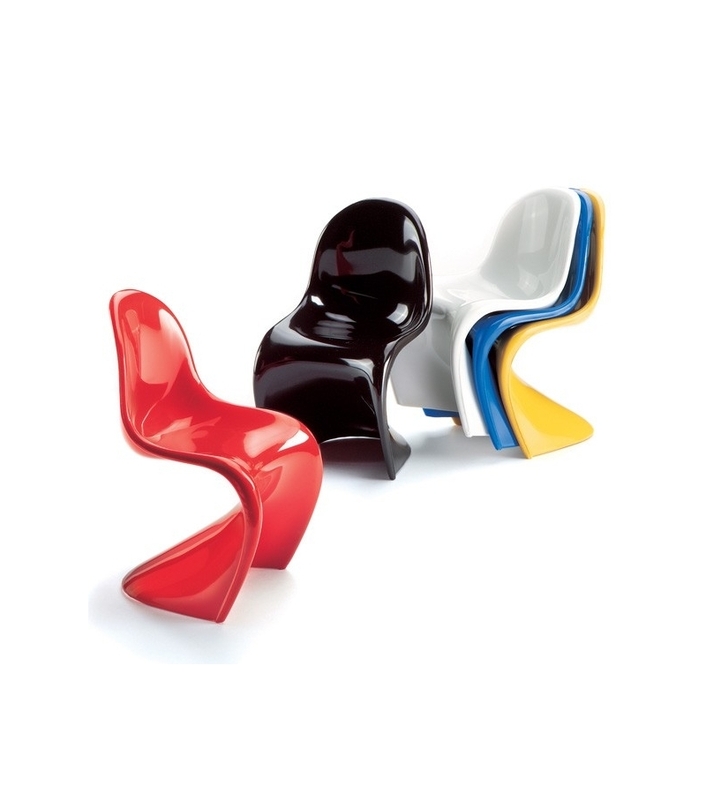 Vitra Panton chair (set of 5): Inspired by Pop Art and Pop Culture, 1960 furniture design broke with the purism of modern functionalism. The use of new materials liberated furniture from the constraints of traditional structures and made it possible for designers to play imaginatively with form and color. At international furniture exhibitions, designers like Verner Panton presented futuristic-looking interior landscapes to go with a free and easy, hedonistic lifestyle. Verner Panton wrote of his works: »I try to forget existing examples, even if they are well made, and find my own way of coming to terms with the materials. The result seldom has four legs, not because I do not want to make a chair but because working with new materials like wire mesh and polyester demands new forms.« The Panton Chair is regarded today as one of the classics of modern furniture design. It was the first chair in design history tohave no back legs and be moulded in one piece entirely out of plastic. It took nearly 12 years of development work before the idea could be put into practice.